In the immediate aftermath of Hurricane Matthew, over 800,000 Haitians were left without food, and approximately 280,000 are still highly food insecure. The storm destroyed agriculture, livestock and homes; many Haitians lost their entire livelihoods to the massive storm. Its effects will also continue to plague the country in years to come; 2/3 of jobs in Haiti are based in agriculture, and the country is dependent upon subsistence farming to generate food for its citizens. However, droughts leading up to the hurricane caused food production to already fall behind necessary levels, and Haiti is ranked the 7th most vulnerable country to climate change. 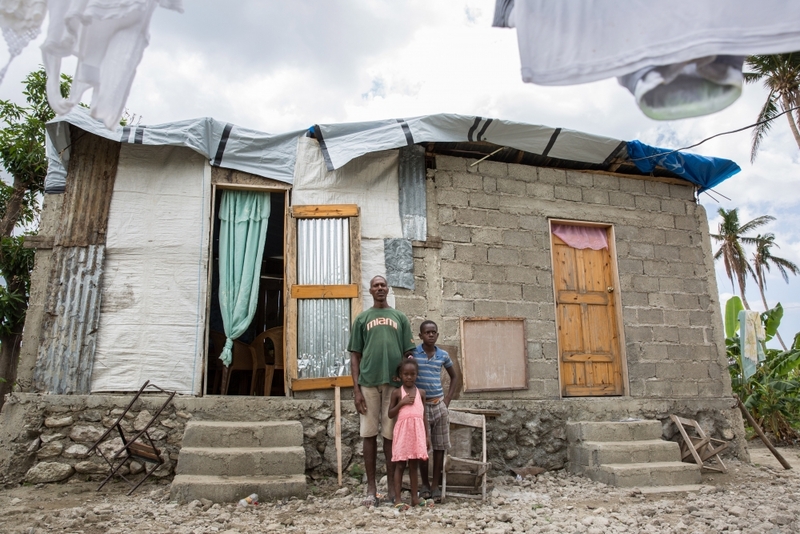 Significant policy changes must address Haiti’s chronic food insecurity and vulnerability to natural disasters in order to alleviate the food shortages facing the country. The church’s roof peeled off an hour before dawn, killing three of the villagers sheltering under it and forcing the rest into a flooded field where they sat hand-in-hand waiting for the hurricane to pass. The next morning, they took stock. Most people had lost their homes, livestock and all their crops. Hurricane Matthew, which made landfall on the southwestern tip of Haiti on 4 October last year, was the strongest storm to hit the country in 52 years. It killed some 1,332 people, according to local officials, and, in the immediate aftermath, left 800,000 more without food. Five months later, the UN estimates that 280,000 people are “highly food insecure”, and hard-hit coastal villages like Côteaux still resemble bomb craters full of washed-up garbage, rubble and felled coconut trees. “Our politicians have failed,” says 51-year-old farmer Serdé Ranodio, after a service held at a small cement-block house, built behind the ruins of the village church. Although Ranodio’s family now sleeps on the bare ground of a hastily erected tin shack, his daughters attended the service in polished patent leather shoes and with red bows in their hair. Ranodio helped clear the main road in the days after the hurricane to allow aid to come in, but other than some chaotic food and tarp distributions, not much help arrived.